SQLPro Studio 1.0.403 – Powerful database manager. Next story iFinance 4.5.5 – Comprehensively manage your personal finances. Previous story WidsMob Viewer Pro 1.1 – Fast photo viewing application. Navicat Premium Essentials 12.0.26 – Provides graphical frontend for many popular databases. 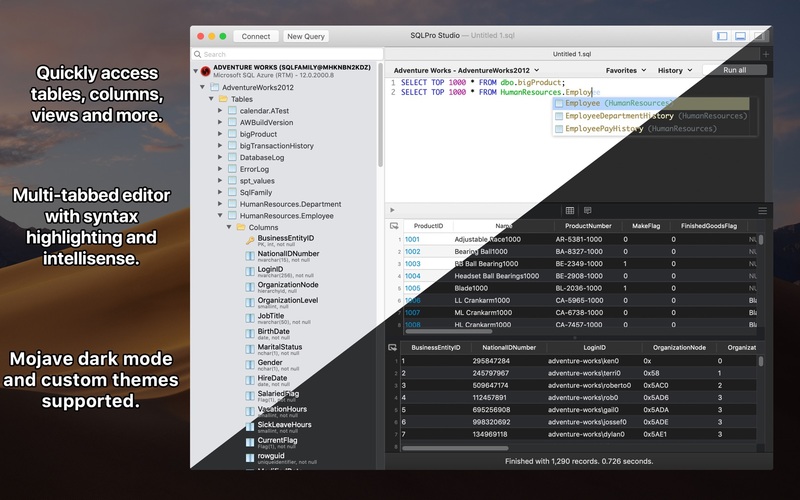 SQLPro Studio 1.0.302 – Powerful database manager.